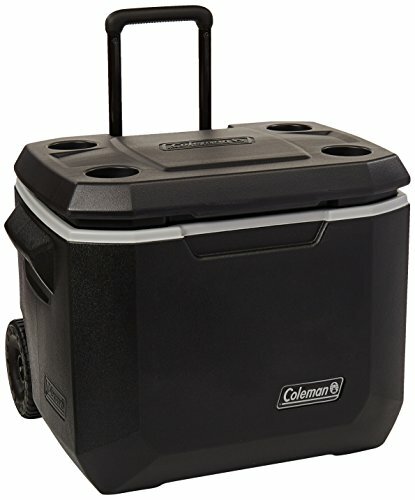 Easily transport cold food and beverages with the Coleman 50-Quart Xtreme Series Wheeled Cooler. Perfect for sporting events and outdoor activities, this wheeled cooler box comes equipped with two recessed, heavy-duty wheels that make transport easy--even when the cooler is filled to the brim. Simply extend and lock the telescoping handle, close the hinged lid, and wheel the cooler wherever you need to go. Premium insulation along the lid and walls helps ensure your items are kept cool, delivering ice retention for up to five days at temperatures up to 90 degrees Fahrenheit. Boasting enough capacity for up to 84 cans, the cooler provides ample space for barbeque ingredients, perishable food, soda cans, and more. When it is time to go, the leak-resistant drain allows you to easily empty excess water without tilting the cooler. And thanks to its integrated cup holders, this rolling cooler helps you keep a beverage always close at hand. The Coleman 50 qt (47ltr) extreme cooler is an amazing bit of kit. The quality is superb and the insulation works extremely well. 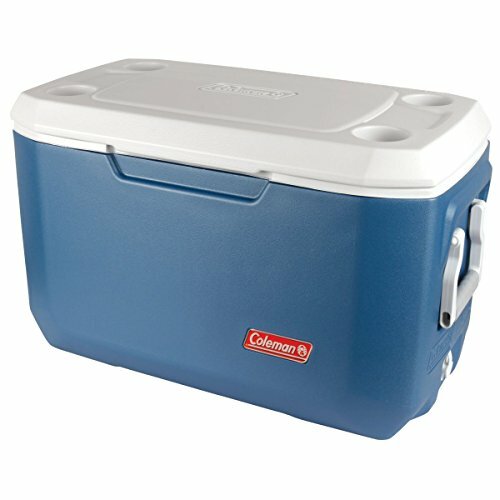 Compare prices on Coleman 50qt Extreme at ShoppinGent.com – use promo codes and coupons for best offers and deals. Start smart buying with ShoppinGent.com right now and choose your golden price on every purchase.